New Zealand was one of the 28 countries to participate in the Inaugural Worldwide Lyme Awareness Protest. They held an "online" awareness event (To join them on facebook click on the icon opposite), as well as organised a number of media stories (links below) to coincide with the week of the Worldwide Protest event. A cuddle with a kangaroo almost cost Ruby Penney her life. During a family holiday in Australia, Ruby's mum Rachel flicked a tick from her 7-year-old daughter's hair as she pulled away from the animal. Within a month, Ruby was acutely ill. Flu-like symptoms, severe stomach pains and a high fever gave way to seizures and hallucinations. If it's diagnosed early, it can be treated with a $5 bottle of antibiotics. While it was an incredible relief to finally have a diagnosis, it was devastating that this wasn't picked up," Mrs Penney said. "I just want doctors in New Zealand to be made aware of this, and to be more vigilant." 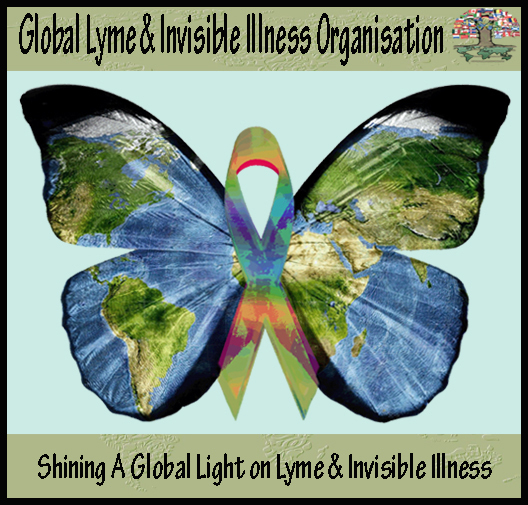 A Worldwide Lyme Protest is happening on May 10-11. - The world's No 1 tick-borne illness. - It is transmitted through the bite of a tick - known as "nature's dirty needle" - and can be fatal if left untreated. - It effects people differently, but symptoms include flu-like illness, rashes, seizures and blurred vision. - Treatment becomes complex and more expensive the longer it is delayed. Sunday 12th May 2013, 3 News. Events are being held around the world this weekend to raise awareness about Lyme disease. It's a tick-borne disease that mimics other diseases like multiple sclerosis and Parkinson's. Sufferers say it needs to be recognised as a notifiable disease. It was a family holiday to Australia three years ago where 10-year-old Ruby Penney's family says she was bitten by a tick from a kangaroo. "I was cuddling the kangaroos and then there was a tick on a kangaroo," says Ruby. Her mother removed a tick from her hair. At the time Ruby was a normal, healthy girl. After they returned to New Zealand, Ruby developed a rash on her neck. Two weeks later she developed flu-like symptoms, abdominal pain, headaches and more rashes, then seizures. "We had to admit her to hospital," says mother Rachel Penney. "She remained in hospital for two weeks and suffered 65 seizures." It was seven months before Ruby was diagnosed. A tick bite has left a Christchurch woman with a disease so rare and debilitating she has to consult a specialist over the internet and fund $1000 in monthly medical expenses through a Christmas display at her home. Maureen Seaward, 49, was diagnosed with Lyme disease last year - three years after being bitten by a tick while holidaying in Australia. The blood-borne illness is extremely rare in New Zealand, leaving health professionals stumped when Seaward began having difficulty walking in late 2009. It also means Seaward has to receive treatment from a private specialist in Sydney in 15-minute appointments through Skype, each costing $250. She spends about $1000 a month on medication and expects she will have to continue taking it for at least two more years. Her deteriorating condition has also forced her family to spend about $22,000 on renovating their Shands Rd home to accommodate her wheelchair, and her husband closed his business manufacturing climate-control doors to take care of her at Christmas last year.